Unai Emery’s side were stunned by second-half goals from Yannis Salibur and Nill de Pauw and, although Edinson Cavani pulled one back in the 80th minute, the reigning champions were left four points adrift of leaders Nice. PSG almost salvaged a point deep into stoppage time, but Cavani’s looping header came back off the crossbar before Jean-Kevin Augustin had a very late effort cleared off the line. Guingamp’s second win in seven league games sees them move up to fourth place, seven points behind third-placed PSG, who had already lost at Monaco, Toulouse and Montpellier this season. 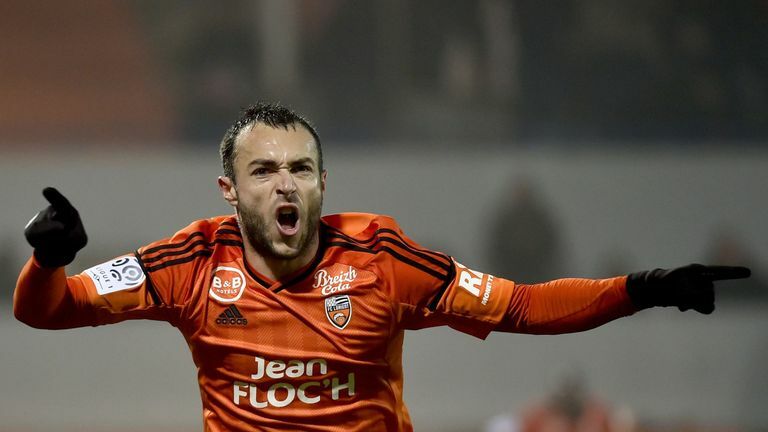 Bastia’s resurgence in form continued as they picked up a second win on the bounce, seeing off Rennes 2-1 in Brittany. Christopher Jullien’s late equaliser secured a share of the points for Toulouse as they claimed a 1-1 draw at home to Nancy. Steve Mounie and Yacouba Sylla added two more late goals for Montpellier, who also hit the crossbar through Lasne’s shot in the first half, to cap a miserable night for the visitors. Elsewhere, Caen’s match against Metz at Stade Michel d’Ornano has been postponed until Sunday due to fog. Caen’s match at Nantes last weekend was postponed for the same reason and they sit second-bottom in the standings after playing just one match so far in December – a 3-3 draw against Dijon. December 17, 2016 in Ligue 1.